Happy Warrior Women Wednesday Friends! Today I’m so excited to introduce a new community to you here. 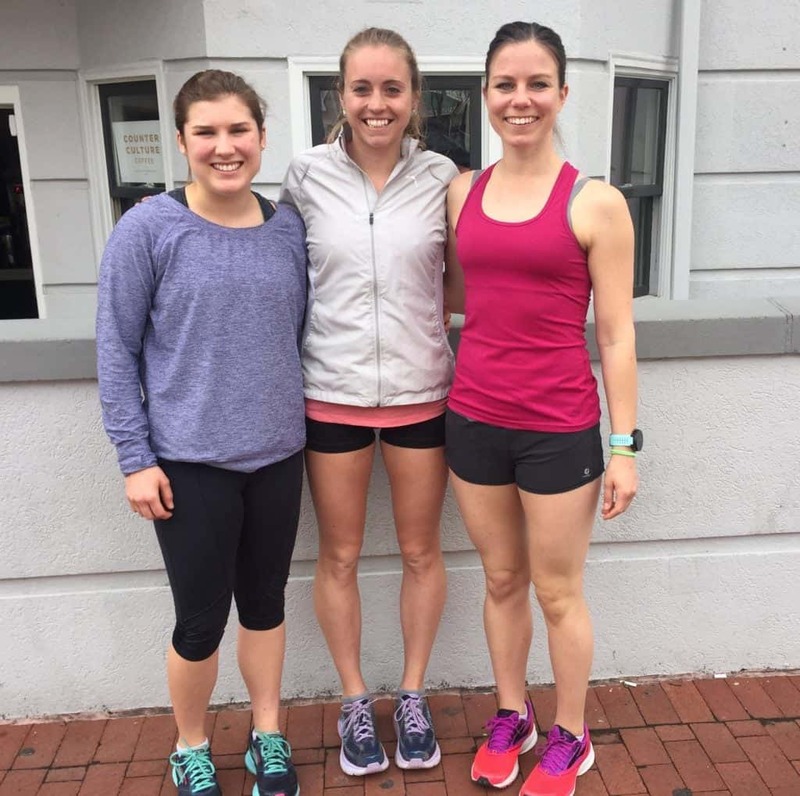 The women behind the Lane 9 Project! I’ve had the pleasure to get to know Heather Caplan, one of the founders of Lane 9, over the last year through the RDN field. She’s truly an inspiration and just someone who you WANT to be around. When I saw that she launched the Lane 9 Project I knew I had to have her come introduce it to you here on Bumps to Baby. So, without further adieu, meet the team behind Lane 9! 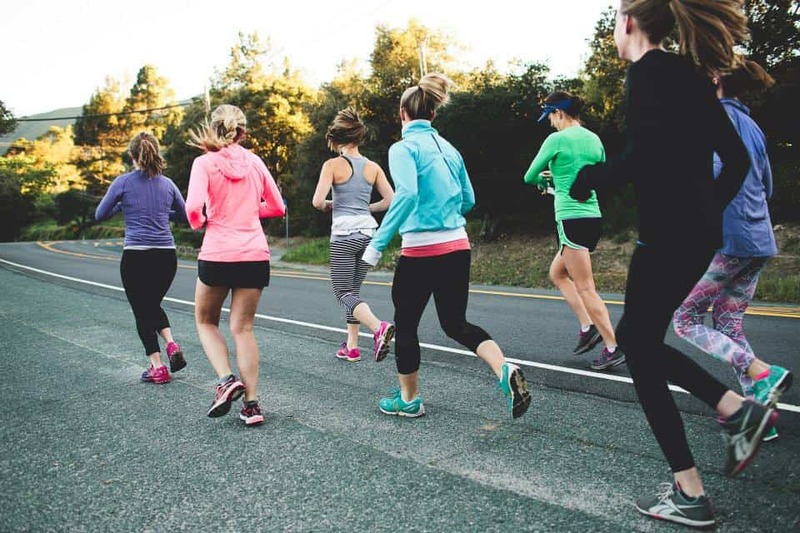 The Lane 9 Project is a nonprofit community and resource for active women. I founded the organization with two women, Alexis Fairbanks and Samantha Strong, that I met through running and my nutrition work in DC. Our mission is to bring a loud, strong voice to conversations about eating disorders, fertility issues, and women’s health. 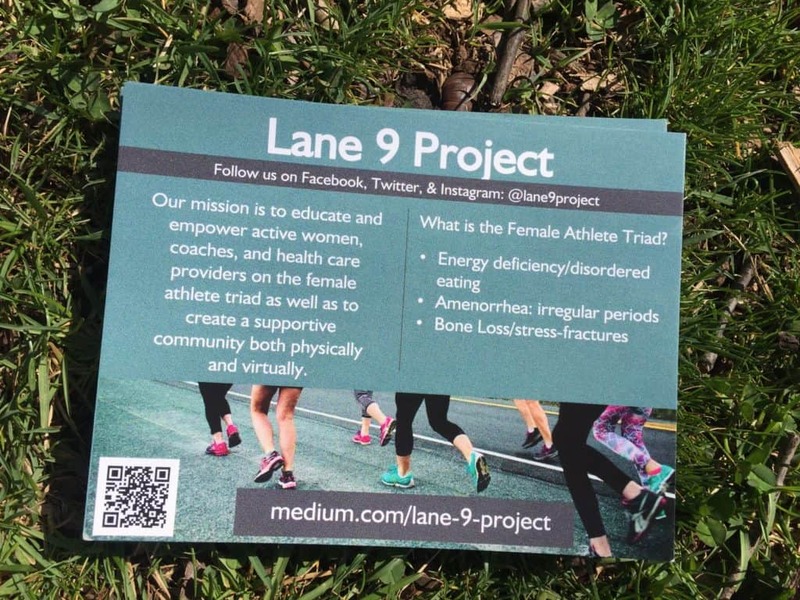 On our Medium publication—medium.com/lane-9-project—we publish stories from our community, informational content about the Female Athlete Triad and eating disorders, and resources for recovery. We’re hosting running and social events, launching a virtual community with both active women and experts who work with women, and sending a weekly newsletter with additional content and project updates (e.g. #realtalk we’re learning how to run a nonprofit, one week at a time!). Why Lane 9? What inspired you to start this program? The three of us who founded Lane 9 are in different stages of ED recovery—I have been in recovery for six years, and talk openly about both my ED and how I recovered after college. I met Samantha through a running group in DC (Oiselle Volee); months later, I met Alexis when she interviewed me for a graduate school nutrition project (AU Health Promotion program). I wanted them to meet each other, so I organized a group run with the three of us. Through conversation, we learned that we had similar experiences with amenorrhea and healthcare professionals. We talked candidly about our eating disorders—hardly knowing each other, but we went there!—what our doctors didn’t know, and how coaches were either triggering issues or completely clueless to them. It should have been surprising that we all had such a similar experience, but sadly, we weren’t shocked at all. On that first run together, we decided to do something about all of the above. We want women to know they aren’t alone in Lane 9, recovery is possible. We want coaches, parents, and healthcare providers to know the signs and symptoms of EDs and amenorrhea, to bring awareness to and help prevent the Female Athlete Triad. Amenorrhea is an abnormal absence of the menstrual cycle. One form of amenorrhea is related to natural causes such as pregnancy, lactation, or menopause. It may also be caused by some medications. But, the amenorrhea we refer is hypothalamic amenorrhea, which is caused by any or all of the following: low body weight, low body fat percentage, high emotional stress, low energy availability, or over-exercising. In other words: with amenorrhea, you don’t have a period. I didn’t have one for six years (age 18-23). Samantha didn’t menstruate as a teenager. Alexis lost her cycle while running at the collegiate level. We didn’t talk about it at the time, because women are shamed for talking about their periods, much less in/fertility. But we talk about it now! And encourage others to do the same. You’d be surprised by how little both coaches and physicians know about the Female Athlete Triad (loss of menstrual cycle, low energy availability, loss of bone mass). But it’s not normal, and active women can and should have regular menstrual cycles. Physicians never said (to any of us), “This is not normal.” They said, “It’s because you’re active.” PSA: Amenorrhea is not normal. We need to change that narrative so that women’s fertility and overall health stops being jeopardized by this lack of knowledge. Join our community! You don’t have to have had an eating disorder or amenorrhea to care about these issues or to join us. We are welcome to any and all active women and women’s health activists. Get involved by sharing your own story, if you want to, or sharing our work with women you know. Join our newsletter, come join us at a Lane 9 event (running optional! ), follow us on Twitter, Instagram, and Facebook, and let us know what you want to know about these issues. We’re learning and growing, and usually running, right along with you. Any other info you’d like to share! A link to your podcasts, other resources, etc! Lane 9 is a passion project that has taken off in a way I never could have expected. But, as the universe would have it, the work I”m doing with Lane 9 coincides perfectly with the way my private practice is evolving. I’m learning more about ED treatment as I work with nutrition clients, and developing a nutrition course for runners that focuses on mindful eating. I also host the RD Real Talk podcast, and can be found at heathercaplan.com. Thank you so much Heather and team for introducing us to the Lane 9 Project! I look forward to following your journey and supporting you however Bumps to Baby can! Feel free to connect with Lane 9 on Instagram, Facebook and their website!